Creating graphics has been one of the highlights of this job. In my former life, I was a newspaper teacher and I used awesome programs to create cool graphics. It has been fun getting back into that. PicMonkey is an awesome desktop application. I pay for the premium version because it has some features that I think really make it worth it. With PicMonkey, I can use my own fonts. I bought a font from Creative Market for my blog and it was important to be able to use it easily in a great program like PicMonkey. There is a bit of a learning curve, but it can do SO MUCH and it is very fast once you know what you are doing. Canva is my first love of graphics programs. I like Canva because the free program automatically saves all of my graphics. I use it mostly for my Epic Facebook Parties. It is super easy to go in and make a few changes and download an updated graphic. Creative Market is a place where I have bought a few fonts and pictures for my blog and Facebook. When I am looking for the perfect graphic, and if it is worth paying for, this is my source. This is where I got my awesome font for my blog graphics. I still love it! When I am looking for free graphics, I like pixabay. I have had a lot of luck with good graphics here. They are all free, which is awesome. To the right side of the picture, it says if they are free for commercial use, which most are. When I can’t find a picture here, I go back to Creative Market. I have done a lot of training through Sassy Suite. I actually joined The Socialite Suite on Facebook very early in its existence. Check out the group and you will find tons of value. Tips on building a social media presence. Trainings once a week. Fun engagement ideas. Some of the posts may point to some of the trainings they have available. These are my favorite courses that I have personally done. They are all video based, self paced and you can watch them as many times as you want and keep the access to the videos forever. Brand Yo’ Self with Suite Graphics This is a graphics course where even a beginner can learn things like how to create a logo and watermark. It also goes through some photography tips. I like how it goes over free resources, and apps on the phone. I know I spend a fair amount of time on my phone and this program gives some great recommendations. This is a great place to start, because many of the other courses build upon the knowledge here. Blogging Bootcamp This is the most intensive course of them all. It is only open at certain times for sessions that take place with all the participants at the same time. I was in Blogging Bootcamp 4. The next Blogging Bootcamp will open in a few weeks and I’ll update here with more information. Fortune in the Follow Up Ah. What a great phrase. “This course will explore non-spammy, relationship-based strategies for effective follow-up with customers, prospects, hostesses, and recruits. Participants will receive a session worksheet and sample scripts.” Sometimes it can be hard to know what to say to past customers and this course is very helpful. Suite Success with Instagram “This is a self-paced Instagram course for direct sellers and solopreneurs. If you’ve been wanting to grow your Instagram channel for your business, this course is for you!” This course goes into how to create a good profile, content strategy, and hashtag education. Winning with Pinterest Pinterest is easy to use for the common user. Recipes and fashion, right? But Pinterest is great for business and this course teaches how to leverage Pinterest for business. EPIC Live Facebook Parties This is a groundbreaking course for many direct sellers. This teaches how to do a facebook party that is fun and relationship based and not just sell sell sell. I wholeheartedly recommend it. 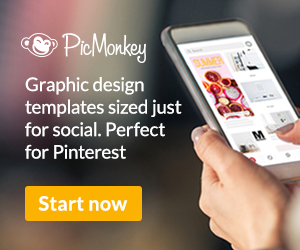 Tailwind is a tool to be used once your graphics are made and your Pinterest game is on point. 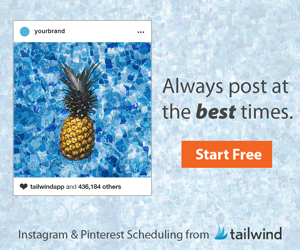 Tailwind is one of the best tools to automate pins going on Pinterest. It is an incredible tool and would be my number one purchase as a direct sales blogger. Well, ongoing purchase that is. Some of the tools above have helped me so much to get to the point to use Tailwind. So what does tailwind do? Automates your pinning. You can plan some pins to go and then set it and forget it. Gives you great analytics to see how well your pins are performing, which boards are most active, and what they best times to post are. Tribes are an essential part for any blogger. Tribes are like group boards. They are essentially groups of people (grouped around a similar topic) that pin each other’s pins. If you click here, you can get a FREE month of Tailwind to try it out. 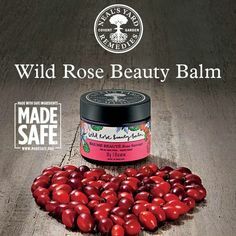 Have you tried any of these? Have a question? Let me know in the comments!